How many Finnish women composers can you name from the early 20th century? What about the 19th century? Thirty? Three? This article series in FMQ will help you expand your knowledge about historical women composers in Finland. In approaching the 2020s, we can no longer tolerate gender discrimination in concert programming, pedagogical practices or the writing of history. The series of articles for FMQ by Susanna Välimäki and Nuppu Koivisto, derived from their book project titled Sävelten tyttäret: Säveltävät naiset Suomen historiassa 1700-luvun lopulta 1900-luvun alkuun [Daughters of music: Finnish Women Composers, from the late 18th to the early 20th centuries], discusses the lives and music of historical women composers in Finland. The first article is an introduction and also showcases a concert series given by violinist Mirka Malmi to give voice to forgotten music. The following articles in the series will shed light on the life and music of selected composers. Here we present briefly some of the composers and interesting projects on women, music and equality. Jenny Elfving, composer of piano pieces and solo songs, in 1908. 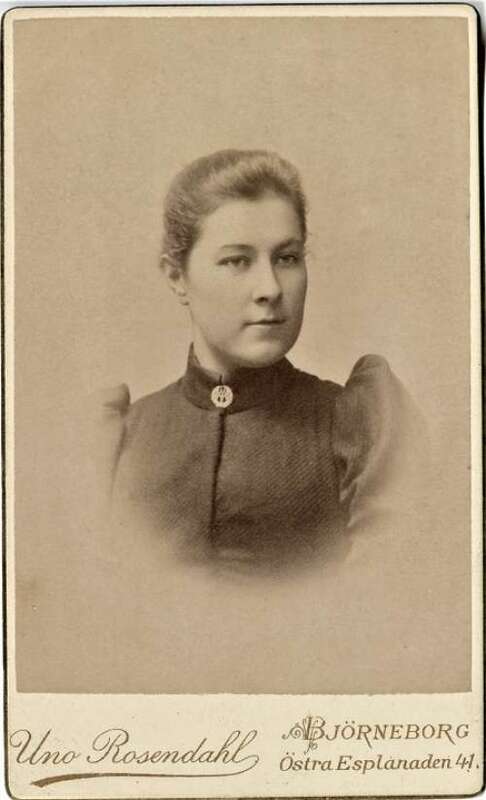 The original photo has this text on the reverse: “Elfving is just about to travel to St Petersburg.” In addition to her musical activities, Elfving was a promoter of horticulture, a teacher, a school headmistress, a women’s rights advocate and a pioneer in women’s education. These women born in the late 18th, 19th and early 20th centuries are known to have composed music and are being researched by Susanna Välimäki and Nuppu Koivisto for their book project. The project is in its early days, and the list is only a rough draft. Promoting Societally Activist Music Research. Encouraging festivals to sign up to a 50:50 gender balance pledge by 2022. 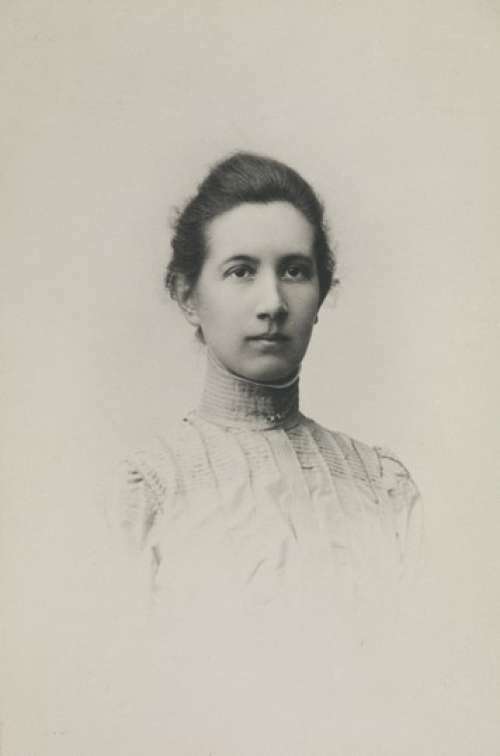 Edith Sohlström (1870–1934) was a composer, an author and a teacher specialising in music and movement. 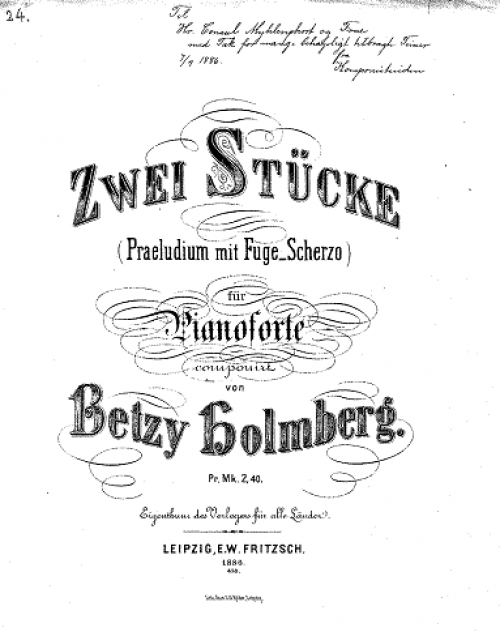 Her popular Elegia (1900) for piano or for piano and cello has remained in the repertoire to this day and exists in many arrangements. Photo: Uno Rosendahl / Sibelius Museum, Turku. Featured photo: The Helsinki Women’s Orchestra in the 1950s. The conductor is the founder of the orchestra, composer Heidi Sundblad-Halme (1903–1973) (front row, sixth from the left).